Yesterday was my fourth wedding anniversary. Some beautiful roses turned up for me during the day. In fact I was out when they arrived so I had to nip next door and collect them from my neighbour. They’re beautiful. Got myself a good one! 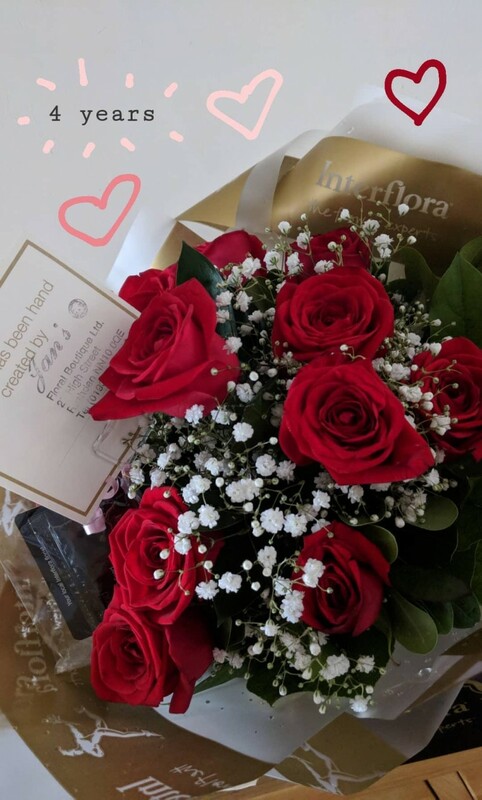 Four years in anniversaries is fruit and flowers. Dan doesn’t like any fruits…at all. And flowers aren’t really his thing either, but for a while now we’ve been on about getting a plant for our lounge to complete the look. 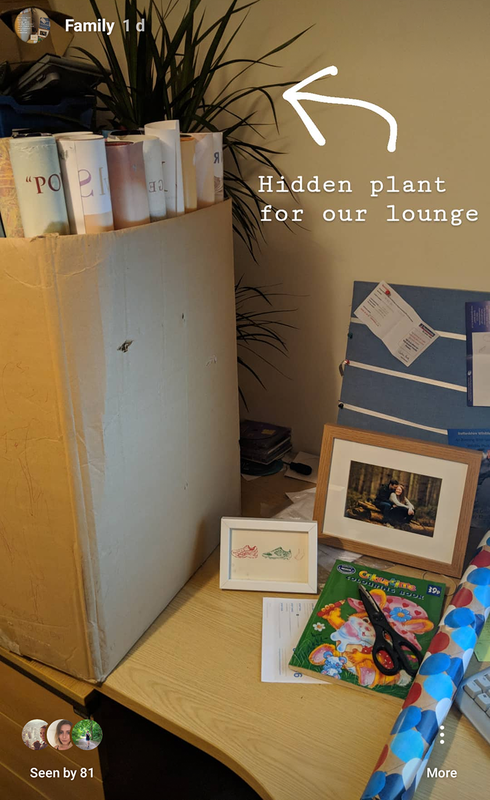 I managed to sneakily collect and hide a massive plant in our office on Wednesday. Dan never goes into our office apart from the rare occasion when he works from home. But when I returned from my run on Wednesday evening I spotted the light on in the office. Apparently he had been returning wrapping paper and scissors to the desk. (Neither of which belong in our office…does anyone else have a partner who still doesn’t know where half the stuff belongs in your house?!) When questioned he earnestly told me that he hadn’t spotted anything out of the ordinary in the office at all to the point that I believed him. He was rather pleased with it when he came down and found it in the lounge yesterday morning and it seems to suit our room. The picture we have on our wall is from our Babymoon back in 2016. The rain absolutely hammered down across that bridge on one of the days we were in Prague and we got caught out crossing without an umbrella, although there were hundreds of others dashing by with brightly coloured umbrellas up. 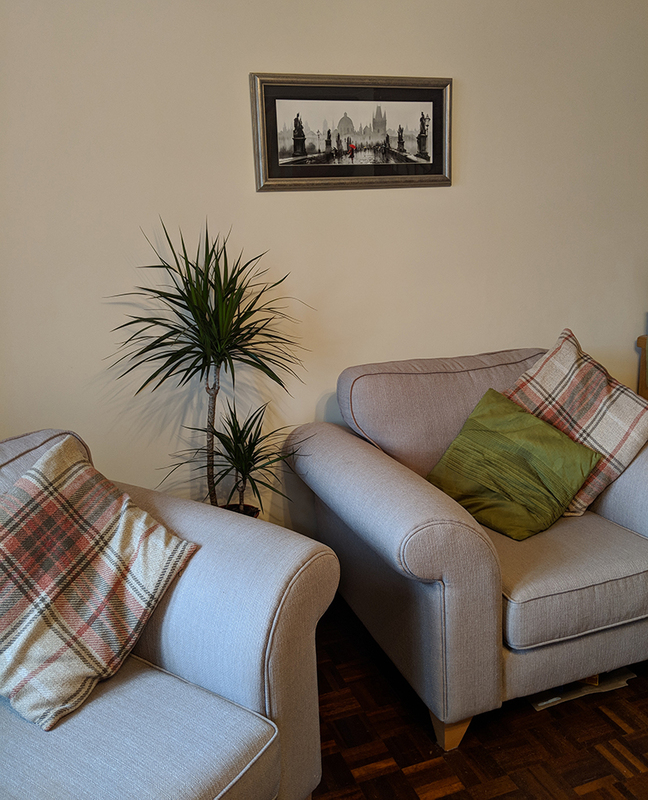 The print is very similar to a black, white and red print we purchased on our honeymoon in 2014 which we have displayed on the other long wall in our lounge to match. We went out for a family meal last night to celebrate. Oscar really enjoyed his hummus dipping pot! This time four years ago I had only run four marathons and a couple of ultras. Now my marathon total sits at thirteen with almost as many ultras. If you’ve read my blog for a while now you’ll know that I often struggle with taking too much on, and it’s usually me that ends up losing out. Be it through sleep or stress. Despite getting very limited sleep each week I’m actually doing OK at the moment, but I can feel the pressure bubbling up again. I dream of having lazy weekends or evenings sitting in front of the TV as a family but in all honesty, if I spot a free day I instantly fill it with an activity or housework and I’m not even sure how to turn our TV on! Because of the age Oscar is at, it seems that just as we settle into a routine, it changes again and since the start of the Summer I haven’t been able to count on him being asleep in bed by a certain time. Luckily, Dan has taken over the bedtime routine and it’s given me a chance to crack on with housework, or get out for a quick 10k if my body was feeling too tired for an early morning run that morning. I much prefer running in the morning just lately. 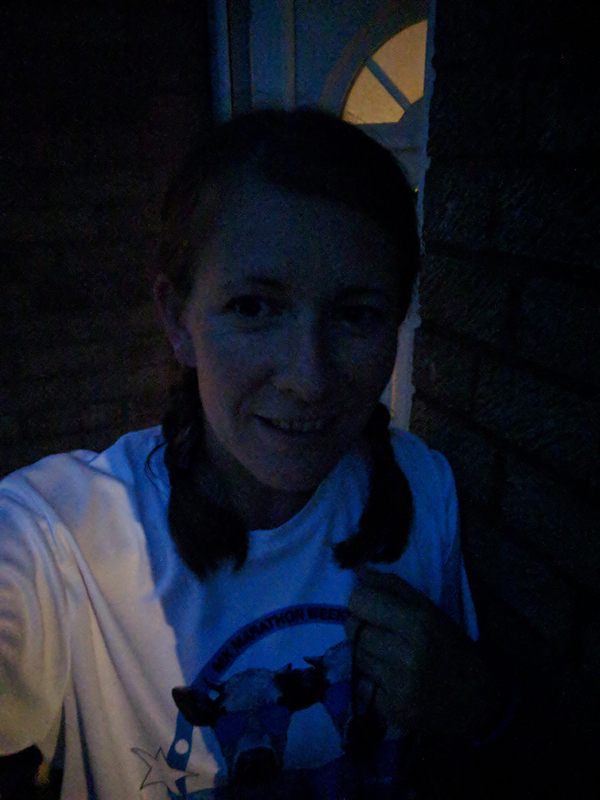 Even though the 5am alarms are a killer on a couple of hours sleep it’s so nice to have gotten my run in and be showered by the time Dan leaves for work at 7:50am. It doesn’t always go to plan though…I’d scheduled a long run in for Tuesday morning of this week, but Oscar woke minutes after I did and called out for me to go to him. He didn’t settle and ended up getting up for the day, meaning not only had I only had four hours sleep that night, but I wouldn’t be able to get to bed early that evening as I would still need to slot in a run of some description when it got dark. I switched out my long run for a 10k instead though. Although I might perhaps come across as shy to some people who don’t know me very well I actually really like to have people around most of the time. Something which isn’t really talked about is just how isolating staying home with a child can feel at times. I absolutely love being home with Oscar and getting to spend these days with him, but being so far away from family and close friends, Dan working late five days a week and having a season ticket for Wolverhampton Wanderers again this year, with the new season starting this weekend (meaning he will spend the day away most Saturdays too), my week can sometimes feel very samey and lonely. 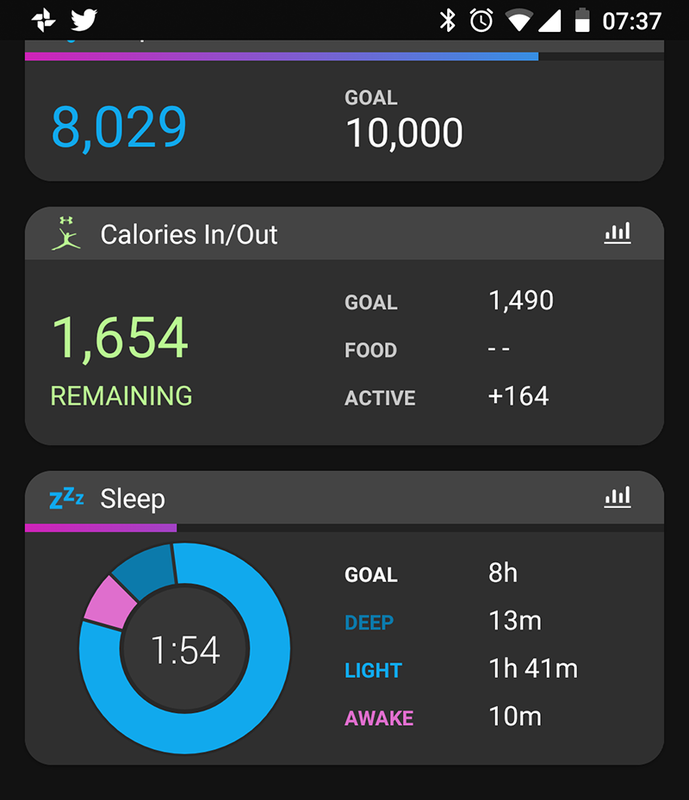 I am really enjoying running at the moment and my base fitness is probably near to the best it’s ever been – with lots of regular running, walking carrying a toddler and strength work. But I’m really struggling mentally with getting out to run my long runs. I’ve always completed the majority of my long training runs with friends in the build up to events, but that’s become a lot harder to do this year as I am so specific about when I can get out to run. I haven’t been able to run at the weekends as I’ve been working throughout the night so would be running long on no sleep, when I really need to be catching up on a little sleep ready for the following night-shift. I’ve been able to get a couple of early morning slightly longer runs in with another runner from my club who was attempting the Centurion Grand Slam of 4x 100 milers this year (although unfortunately DNFd at the third event – the North Downs Way 100 – last weekend) but other than that the majority of my runs have been between 5-10 miles in length, with a few closer to 15 miles. I really need to book a marathon or longer distance in for the end of the Summer, but once again it’s hard to organise around work/life events now that we have Oscar and I work weekends. I used to be able to whack in my earphones and listen to a few podcasts to get me round a long run if I was running it alone, but now that nearly all of my runs in the week are run alone and I also work one or two nine hour nightshifts each weekend in an aisle on my own listening to back-to-back episodes of a podcast, listening to a podcast and spending a few more hours on my own doesn’t have quite the same appeal anymore! I now spend most of my runs feeling that I should be back with my family (if running during the daytime) or all the things I should be catching up on back at home! I’m currently putting off this morning’s long run. I just need to man up and get out there I guess. Just wish I had someone to run out with me! Do you prefer running on your own or with others? Any podcast recommendations? I’ve listened to a lot and am running out!